Courthouse tours are Mondays at 12:15 and Union Depot tours take place every other Tuesday at 11:00. Tour guides must be available to give one or two public tours per month, and generally have availability to lead occasional private tours during the week. Training will take place in January. 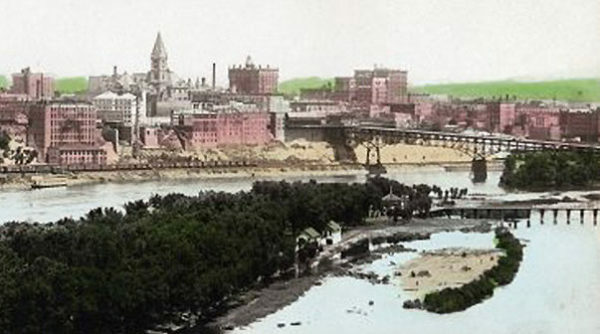 Image: Detail of a black and white photograph postcard (oversized) of an aerial view of St Paul from the perspective of Harriet Island. Hand-tinted color, in some places overlapping caption. 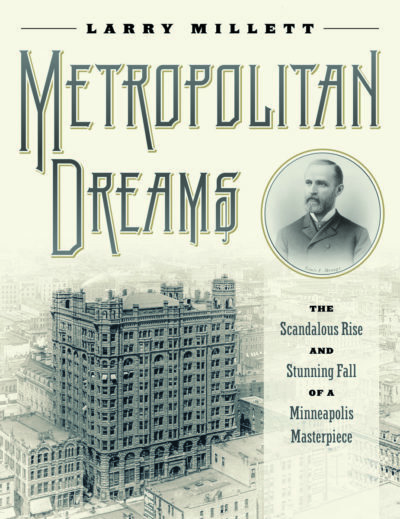 Some of the buildings shown include: West Publishing Co. at 52-54 West Third Street, Ramsey County Courthouse, Haag-Laubach Roofing and Comice Co. at 28-34 West Third Street, and the Union Depot. Hand-written text on front (not shown): “#299 Bird’s Eye View Of Harriet Island And St. Paul City, Copyright 1904, F.L. Wright Photo.” Unsent postcard. Date: 1904.